Last week we saw the last of the summer sun. 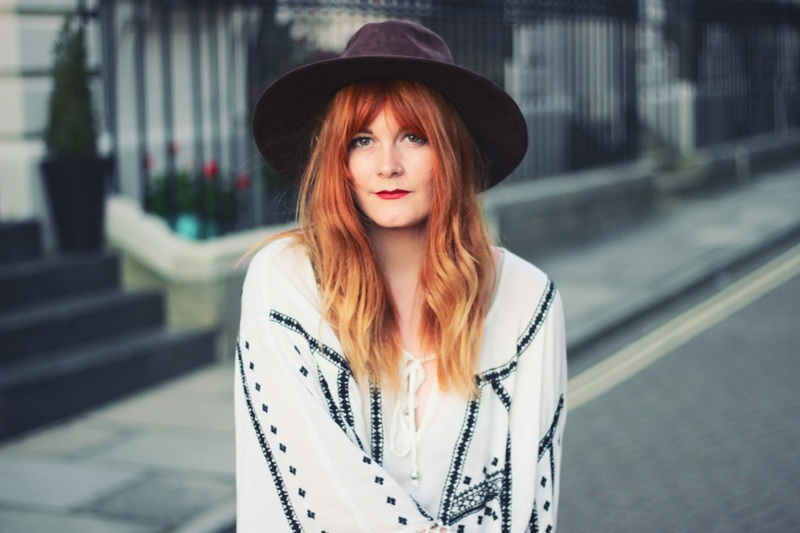 Autumn happens to be my favourite season, so whilst I'm opening my arms to the crunchy, golden leaves and brisker, chilly mornings, I will miss prancing around in floaty summer kaftans like this. After all those 80 denier black tights ruin absolutely every outfit! 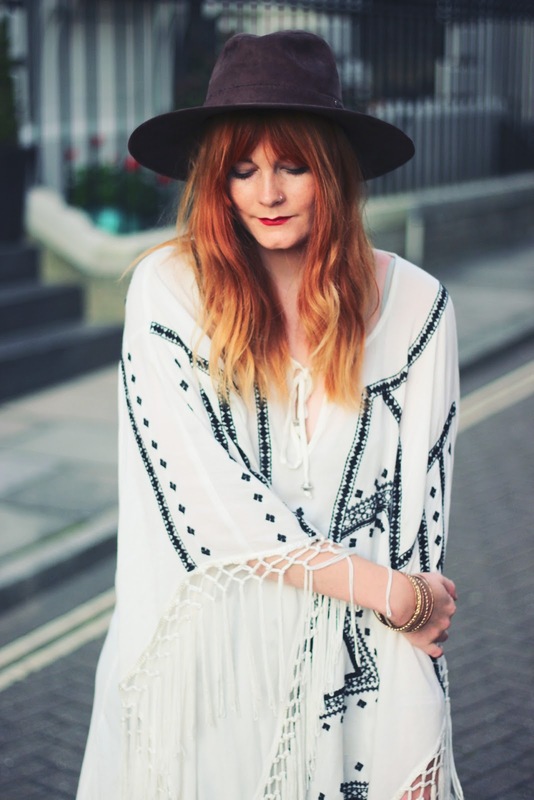 This embroidered, fringed kaftan was a steal from Monsoon at a little over £20 from their previous sale. 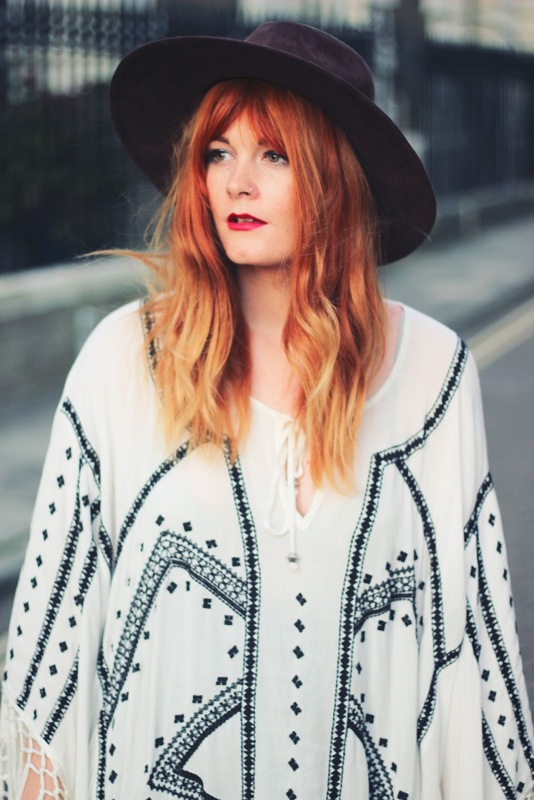 I opted for the XL for a bit of extra length and a looser, bohemian style fit. Also, it doubles up as a great food baby disguise - win, win! I absolutely had to have these boots when I discovered them on ASOS! I spotted them a few days before payday, but luckily James came to the rescue before they sold out - hurrah! I don't think he could have dealt with my incessant moaning if I hadn't have got my paws on yet ANOTHER pair of velvet boots to add to my ongoing collection. 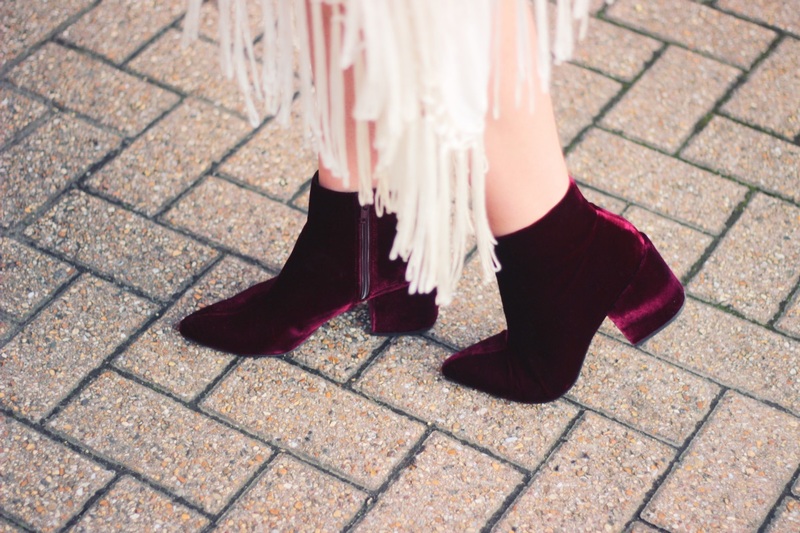 A girl can never have too many velvet boots! Love it!! That dress is gorgeous, I LOVE the fringing! Love the look of the dress, it really looks great on you especially with the boots. Love this look, it's so airy and free!